The school that my kids go to has a wonderful garden program. Once a month the kids get to come to the garden and experience one of five programs: Planting, Maintaining, Exploring, Worm Composting (2nd grade only), or Hot Composting (4th grade only). To my parents’ delight, I have come to my senses and found a love for gardening through the eyes of my children. I’m certainly no expert when it comes to identifying plants or knowing best practices with regards to planting things, but one thing I do know about is having fun. In previous years, I’ve been in charge of the planting and maintaining programs for my daughter’s class, and they were both great learning experiences. This year, however, I’m in charge of the exploring program. This terrifies me. When the kids come out to the garden, they look to me as an expert. Most of the big things around the garden, I can speak intelligently to…the water cistern, touch and smell garden, butterfly garden, the barn, Coinker, and all of the various beds we have. When I begin to struggle is when lightbulbs start going off in my little explorers brains. That usually works pretty well, but for one plant, I haven’t had any luck. It’s in our touch and smell garden, so the kids ALWAYS ask about it. Since this blogging thing is working out for me so far, I figured I’d try a reverse flower lookup and post a picture to my brain trust. 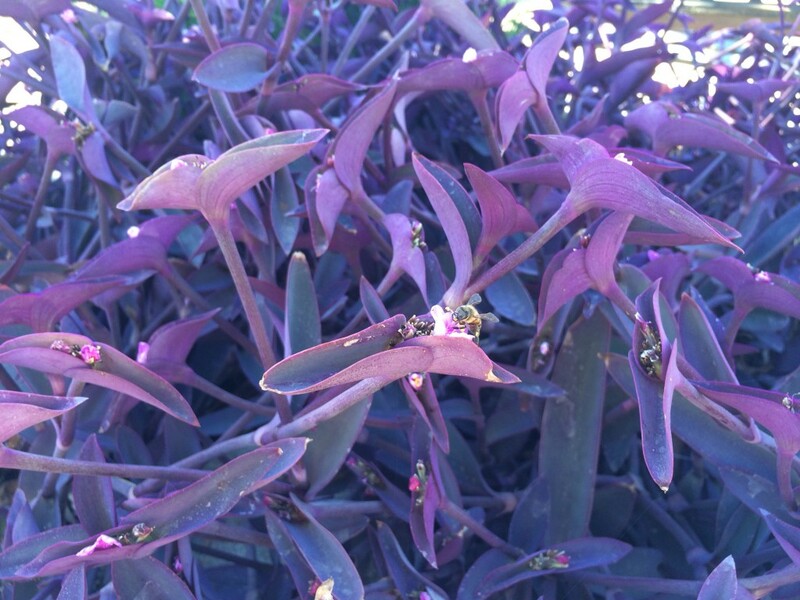 Take a look at the picture above and leave a comment below if you know the name of this intriguing purple flower. ← The Road to Success Is Long and Winding, and I’m Just Getting Started. Googled it based on your suggestion. You’re totally right. I should have thought to just ask you given that you spent oh so many nights when I was a teenager studying flash cards of Latin flower names. It’s also called a Wandering Jew. Not hard to understand why I remember that name huh.